Attention teens! 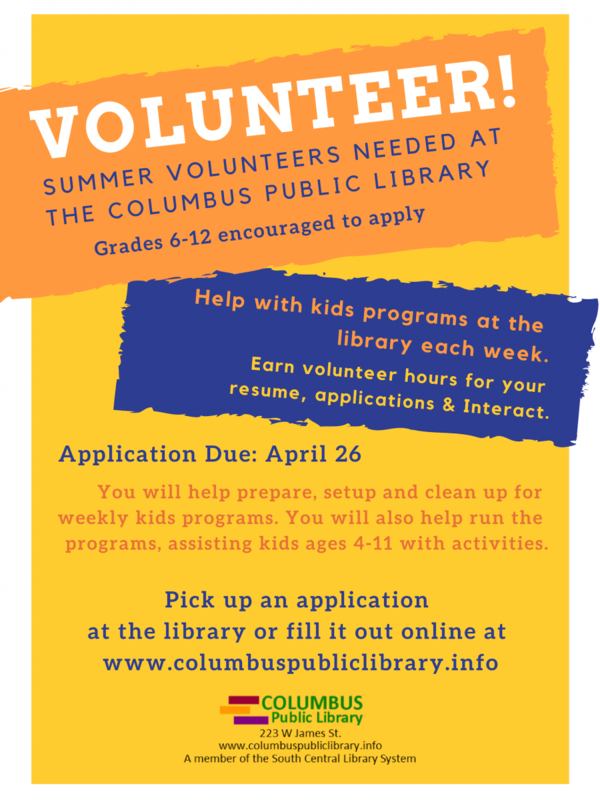 The Columbus Public Library is seeking volunteers to help with the Summer Library Program. 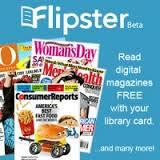 Volunteers will help library staff to prep, set up, assist, and clean up summer kids programs. You will become an integral part of the Summer Library Program team, helping hundreds of kids throughout the summer have fun at the library. You might help mix bubble solution, or set up an obstacle course. Another day you may help kids glue on googly eyes or paint a picture. If accepted to the volunteer program, you will choose which day to commit to volunteering and that will be "your day" throughout the program. Shifts will be Tuesdays from 12:45-3:00, Thursdays from 2:45-5:00, and/or Fridays depending on schedules. You must be able to volunteer for 7 of the 10 weeks of the Summer Library Program to be eligible. For example, you might pick Tuesdays to volunteer, and you will be expected to help out with at least 7 of the 10 Tuesdays of the summer. That would provide you approximately 16-23 service hours for the summer to put on future resumes or add to service club memberships. Additional shifts such as the kick off and end of summer events will also be available. Teens entering grades 6-12 are encouraged to apply.